My world has a school dedicated to the teaching of magic. Nearly all parents who can send their children to the school do so. The school, as part of their teaching method, exposes their students to life threatening circumstances. They do try to intervene before it's too late, but every year several students die. Yet there are no complaints or protests about this from parents, they simply accept the loss and none of them try to pull their kids out of the school because of the danger. What circumstances would produce a society where parents were so accepting these circumstances and willing to put their children in danger like this? Every year people die crossing roads, every year people die kayaking in the alps, every year people die playing bowls (possibly not related to the activity), every year people die driving a car. To have magic available is a great benefit, against what cost? If 1 student dies out of a school of 2000 every year, that's not a great risk. If 10% of the intake survives, perhaps it's not worth it. If you want to increase the benefit, you can increase the risk of not going. The children are perhaps accepted because they already have access to magic, and it's inherently dangerous to be untrained. A few students die every year, yes, but that's a lot fewer than would die if the school wasn't available. Any society that recognizes that nature is a brutal teacher, and is willing to live with losing some of their young in order to ensure that those who are able to harness such powers correctly are the ones who live on to use those powers and to procreate. Even without the presence of magic, do consider the huge majority of species on Earth. Offspring try different behaviors, and stick with what works. Many behaviors are instinctual, honed by thousands of generations of natural selection, but some behaviors are learned from experience. Typically, the "more intelligent" the species is, the less of its behaviors are governed primarily by instinct. Every now and then, and usually to the tune of a significant fraction of a litter, young individuals try things that very definitely do not work and end up paying the ultimate price for that. The individuals that survive all the way to reproductive age are those who correctly interpret and judge their environment. Generally, the others perish, and typically do so long before reaching reproductive age. Many die very young, as little more than infants. Not only does it happen, but it happens for both carnivores and herbivores; just because you eat meat rather than plants doesn't mean you are immune to this! Quite to the contrary, in fact. I can imagine that a society might develop that way if they have a long history of living in tune with nature, meaning either their environment or their own beings, as one might expect from a species able to harness magic. Death is something not feared; it might perhaps even be embraced as a chance to weed out those individuals who are not sufficiently able to interpret their surroundings and their own power, without causing significant collateral damage. (The school, in this case, can provide an environment where the risk to others is reduced compared to the society at large. The primary purpose of the school might then even be to offer that environment, not to offer teachings as such; students are expected to experiment with their abilities, and if they are unable to handle their own powers, well, too bad for them, but at least no one else got hurt.) If those abilities would manifest themselves anyway, it may be preferable to learn how to control them in a safe(r) environment first. The species or culture is aware of the process of natural selection at least to some extent, but instead of fearing it on the individual level, they embrace it as a society. Individuals may still grieve the loss of someone who was close to them (mate, child, parent, etc. ), but for the most part, the onus from the greater society will be on accepting that not everyone can survive, moving on and taking care of those who do. If your society is based on some kind of caste system where the magic users are on top of the hierarchy, risking the child's life can be the way to a better life. Consider the alternatives of living in the lowest caste, needing to do the hardest work, eventually also risking your life, if there was a chance to ascend to a higher caste that would significantly increase living standards. Similarly, if there is great honour associated with the status of being an approved mage, this may also be a point at which the increase of social standing (not necessarily an economic one, that one is covered above) is worth the risk in getting a better position in the social structure, having chances for a more.... prosperous marriage arrangement, or having your neighbours being especially helpful, getting preferential treatment in government, or maybe even voting rights, if the normal population is barred from this democratic right. It doesn't necessarily mean that just the applicant may have a benefit from this. It may be that, even if the attendee dies while he is enrolled in that school, the family of the pupil may still receive the honour and prestige associated with having family members enroll in the school of magic. The sacrifice in pursuit of the benefit or em-betterment of the state would have been acceptable and even expected in many countries. Many turn of the century nations with nationalism, or even ancient countries like Rome. We need mages, and we need them now. We really do not care how many die as long as we get mages to hold off disaster x. It has been argued that western civilization did not truly care about children until post WWII, and that children were seen more as a necessity (retirement) or a burden. So as foreign a concept as it may be today, the loss of a child may not have mattered to many. People die a lot in this world. If I have 10 kids (from 2 wives who all die in childbirth), and 5 die before the age of 18 I may not care too much about just another dead child. It just means I have to get out there and have another kid. Many societies practiced infanticide, where weak or deformed babies were killed. Famously, Sparta did this, but it was somewhat of a common practice in the Mediterranean. If they are not strong enough to survive, we do not need them. Life was harsh, and people were pragmatic. Surprised this wasn't mentioned yet. We are a strong people. To be strong as adults, we have to be so from birth. The weak babies are left behind. If needed twice. From age 7 we go trough the Agoge, be it physical or magical. Not all make it to adults. We are strong for our country. Alone we are weak. Alone we are without meaning. We live for Sparta. Sparta is live. Their death was their honour and duty, not tragic. Culture and advantage. Perhaps the parents all attended the school themselves, or tried like hell to get into it, with the urging of their own parents. Say that getting through the school sets up the kid for a rich life of influence, prestige, fame. Why do parents in the USA allow young children to attend gymnastics schools, to become Olympians, despite the very real (and often realized) potential of breaking bones? (Or similarly dangerous sports). For fame and glory and a short career that can set them up for life. Why do parents bring their kids skiing, when skiing is dangerous enough to kill people, including kids? Just because it is fun? Why do parents consent to surgery for kids that might kill the kid, when no surgery just means continued disability? Because they are betting their kid's life on a better life instead of a lifetime of disability. It beggars imagination to claim parents will not complain at all, but if releases are signed and informed consent is given, their complaints will be limited to grief (or potentially illegal vengeance if they feel they have been wronged). Minus magic, the only way to plausibly have parents "just accept the loss" is to ensure the parents do not love their children at all, that parents view children as property and an expendable resource, to the point that losing a child is no worse to them than losing a car in an accident. From an authorial point of view, I would find it very difficult to sustain reader interest in such a cold and heartless society. No matter what gee whiz magical imagination you might have, such a society would be too weird for me to suspend disbelief long enough to finish the story. One alternative, using magic: Magical forgetting. As part of enrolling their child in the school, the parents must first voluntary agree to forgo any grief if their child is lost in the process. A spell (that requires their consent) is placed upon them immediately. Nothing changes for them, but in the event their child is lost, the spell kicks in when they are informed. They are advanced magically through the stages of grief to acceptance of the loss, love of the memory of their child, their bravery in pursuing the dream they loved. Sad but magically over it, in a few minutes. Until fairly recently, it was normal for a family that only a part of the children reached adulthood. Child mortality for most of human history has been quite high, often exceeding 50%. If your kids have such a high chance of dying from disease, hunger, war or a dozen other threats, adding a 1-2% on top of it really doesn't make so much of a difference. If what they learn gives them, or even better: The whole family, a sufficient advantage, parents would absolutely be willing to take the risk. It might even be that they don't think of it as a risk. In a society with high child mortality, there are no "helicopter parents" and risks are judged differently. A dead child would not cause anyone to question what the parents did wrong - it simply happens. A lot. Perhaps your society is very fecund and/or resources are few. When families are having six or more children, and the average family can feed four, it makes sense to push your children into more dangerous situations where they might gain reward. If they succeed, they've improved their situation, and perhaps yours. If they fail, that's one less mouth to feed (although, of course, there's also a loss in terms of resources invested in raising them and providing for them to that age). If people unable to use magic are pretty much at the mercy of those who do, get eaten by magical monsters reasonably often, or have some other serious life problems people with magic don't need to worry about parents might be willing to put their kids into a lessor danger. If not dying at this school guarantees the family will be rich for several generations it might be a prudent choice to gamble a child's life. Look back a couple hundred years or more. 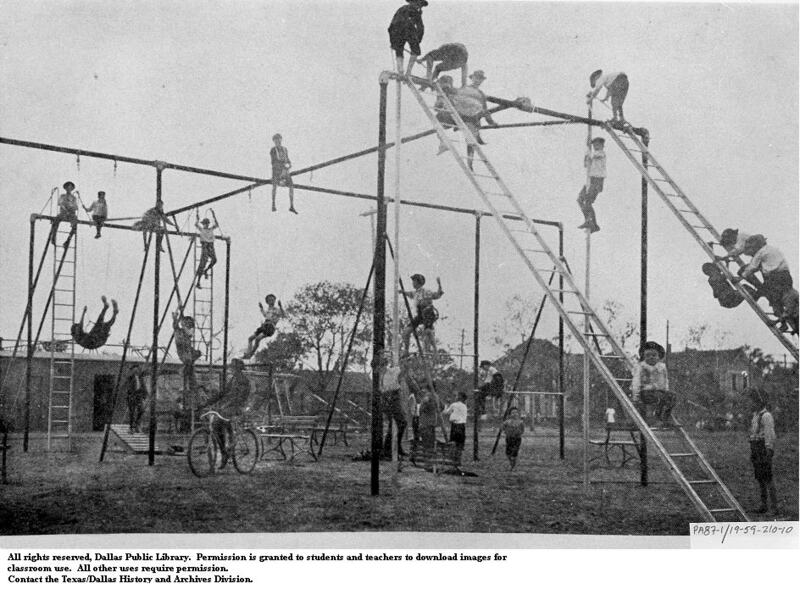 Fair numbers of children were employed or apprenticed in occupations with non-trivial hazards. Although a lot of answers already, they are somewhat repetitive in terms of benefiting the family directly (kids make them rich or equivalent) or indirectly (reduced chance of untrained mage accidentally killing them). I propose an alternative: make mages feared and shunned. Maybe shunned is a bad word, but mages are a breed apart: a mysterious and powerful group whose abilities wall them off from the muggles. As for prior art, this situation is played out for dramatic effect in Marvel's Xmen (both comic and movies). Most of the parents are all too glad to ship their little muties off to Xavier's. No awkward convos with neighbors, constant fear of discovery, etc. etc. You may wish to make the mages important (in opposition to the xmen precedent): they are a consolidated unified group that's too powerful and organized to mess with, but all the more feared and covertly despised because of it. That too has some valuable story arc material: their situation arouses the jealousy of the powerful, allows for dissenting factions in the mages group itself (we should rule vs. isolationist vs. benign interventionalism), political intrigue as different polities vie for the mage's favor in intervening in their favorite local war, etc. TL/DR: hero worship and greed. Question: What circumstance would produce a society filled with parents willing to let the children be exposed to life-threatening Danger? One RL Answer: Professional sports. Justification: Every year, little kids die or are permanently disabled in pee-wee sports (especially American football). And hardly any of the survivors go on to get scholarships, much less become pros. Yet parents happily let their kids (especially boys) participate. Why? First, because of the human nature of the kids. Many kids want to emulate their heroes, and also like to take risks. If they don't get to do it supervised, they will do it unsupervised. Second, parents (and the kids) are seduced by the promise of gold at the end of the rainbow, especially if the kids seem to have unusual athletic ability. Third, some parents live out their own dreams vicariously through their kids. So, using this as a guide, your world's parents would send their kids to a slightly-dangerous magicking school because it might lead to fame and fortune for the kids. p.s. I don't mean to imply that pee-wee sports are particularly dangerous! Like I said, they are probably less dangerous for lots of kids than what the kids would do if left to themselves. If lack of magic knowledge would lead to the children dying at a higher rate, then sending them to a potentially deadly magic school would be the lesser of two evils. Just a suggestion - Harry Potter has overplayed the magic thing, so if you want an interesting and fresh story that doesn't come off like a hogwarts clone, you might consider some other skill to be learned - telekinetic or some form of mind over matter thing. Possibly the idea that, like puberty, a child "comes of age" when magical abilities are learned. So, while they might appear and possibly have the intellect of "children", because their magical abilities have taken fruit, this is the point in this society where they are considered "adults" and must be sent to school to prepare for the harsh reality of the world. As a scenario, this might evoke "Hunger Games"-type dystopia, where refined magical ability is required to perform survival tasks. For example, a scenario: As part of humankind reclaiming Earth, children are sent to school to hone and practice their magical powers so that they may aid in clearing out the monsters and creatures that once overtook the world and forced humanity to live in small pockets preserved by magical barriers. The ones who do not survive the magical training were only meant to be a burden on society at war, anyway. The Anti-Vax campaigns taught us many things about misinformation, ignorance of science, and the impact of social movements. You can also roll in there the fear of vaccines causing autism - how a single non-reproducable study spread such a widespread and ill-founded outrage. Perhaps in your world, there are incorrect and ignorant beliefs about magic. Just about anything in culture can be seen through a religious lens and have its own bend. Take your pick here. Culture is much the same, like the practice of female castration  , or other genital mutilation practices. Perhaps there is a power in control (or seeking it) who is purposefully manipulating the people. This can be a more subliminal thing like the psychological tactics that marketers use to induce consumers to purchase products. It can be a darker or more covert thing like fake news or false information to influence public beliefs, incite anger, or distract the public. Perhaps it goes even darker than that, that these schools are getting too wealthy a profit, that the cemeteries are in on it too, and that the banks love foreclosing on these education loans. Some movies along these lines are : Daybreakers, Thank You For Smoking, The Big Short. Maybe one wizard has a contract with Chutlu and needs the human sacrifices... (See South Park episode Brittney's New Look). 2 parasites and a bacteria that influence host behavior one way or the other to benefit itself. Toxoplasmosis  causes humans to behave in a manner that influences cats to bite them to spread to more cats. The second  lives inside preying mantises, consuming them until they are an empty puppet and completely controlling them. The last  is responsible for the outbreak of Black Plauge in New Mexico, it influences its host fleas to behave in ways that get it eaten, so it can spread. In our day, just about everything is tied to everything else. For example, right now depression is on the rise and this can be linked to obesity, high average consumer debt, etc. Do not be afraid to draw from multiple reasons from multiple areas. What about the simple argument of "who dares wins"? going out of your story and into ours, risk takers tend to be the ones who created airplanes, discovered new lands, gone up to the stars and down the oceans. These people were not raised in bubblesuits by helicopter parents. Also, look into the activities that kids used to do that were acceptable before (maybe are still in some more "primitive" societies). Like learning how to hunt an ill-tempered mammoth, or fish in a shark-infested bay on the top of a tiny canoe, or climb up a tree for fun or profit, or country ski by yourself for miles just to get to school. I am not saying those people acted like life was cheap, but that if they did not have the natural skills and/or did not put the effort to learn said skill, they would not go very far. Incidentally, one of those skills would be common sense: knowing the line between brave and stupid. Two answers to this one the first is situation specific; parents being willing to put their children into a magic school where the stakes are so high is perfectly understandable provided the profession is sufficiently rewarding to justify the risks of training. My second answer is a more general one and comes straight out the works of Frank Herbert. In The Dosadi Experiment there is vast population pressure and people routinely die in huge numbers due to political manipulations aimed at balancing food supply and the demands of the population. In this situation willingly putting family members in harms way is actually a loving gesture, it denies a lever to those who would otherwise manipulate the family. In the story this extends to the point of volunteering children for suicide missions. If you create a situation where there's enough external pressure aimed at people through their family they'll willingly enough give up those attachments, on the surface at least, to shield themselves AND those that they're putting in harms way from what they see as more immediate and concrete threats. Children sent to be mages might die but the local lord will kill those who don't co-operate with the mage-clergy. There's a third answer in David Brin's Glory Season; in a society that is fairly stagnant and where younger children who don't stand to inherit they are basically a waste product unless and until they can carve out their own place in the world. There is a historical precedent as well, in the Middle Ages in Europe first sons of landed families inherited, second sons went into The Church, and any other younger sons learned a trade or joined the military as a path to success outside the family money and lands. If there's no room for success at home it's worth the risk to leave and look elsewhere. I have decided to expose my children to danger because in the United States we have decided that driving a private car on a highway is the only way to reach some destinations. Every year many children (and adults) die this way, but there are basically no complaints because we accept it as the way it is. Any society where everyone in the family unit is already in serious danger of dying, and especially where kids are regarded as replaceable, will produce parents with that attitude. The circumstances in early Australia for one. My mum has mentioned reading in the diary of one of her ancestors where she wrote that the boys (early teenagers) were going to take the cattle droving to look for feed for the next year or two, and her worry that she probably would never see them again because the journey was so dangerous. (Even if they were successful, they would not be able to return until the drought had broken and there was enough feed on the paddocks). I understand that conditions in some areas of India and Asia are such that children get sold as slaves so the parents have enough to feed themselves and the other kids, or where girls end up as prostitutes from the pressure coming from some of their siblings dying from lack of food so they become prostitutes to support the family, then when they get pregnant get disowned because of the social stigma (in countries with no social care). The children aren't learning magic so that they can impress each other with parlor tricks, win friends, and influence people. They're doing it, and facing life and death situations as part of doing it, because there's an immediate need for proficient magic users to fend off the coming darkness. Anyone who cannot survive the training would be unable to survive the actual "battle" (or whatever dark forces comprise 'the coming darkness'; perhaps evil just pervades the magic energy permeating through your world, and all those who cannot resist its corruption either die or go insane and need to be put down by the time they turn 18 anyways). There's no sense in (and no time for) mourning people who were just going to die anyways. Better that they die early and relatively painlessly than face death by slow decay into darkness. Your society is populated by people who believe in and are striving towards producing the most genetically perfect society possible. They want to be the world's (or the galaxy's, or the material plane's) most proficient magic users. Weakness is death (quite literally). Anyone too unfit to survive magic training is weak, and must be cast aside. They have no place in the perfect society, and not only is their loss not sad, it's even cause for celebration because by dying an early death they've ensured that their inferior genetic material has been removed from the gene pool. In death, they serve the perfect society in the only way they can. Their sacrifice can be commended, so long as their weakness is acknowledged and universally abhorred. It bears noting that the value of safety is already a relative thing in real-world society. Air travel is relatively safe, but every trip technically involves life-threatening circumstances (being high up in the air in a thin metal tube packed full of highly flammable liquid) and there are fatalities recorded every year. Although most parents would have no qualms with taking their children on an airplane. Cars are significantly less safe than aircraft, though are still used routinely by pretty much everyone. Skydiving will kill you if anything goes wrong, and things do occasionally go wrong, but people still do it and even bring their children along voluntarily. Statistics - What proportion of students actually die? If it's "several" out of a class of 12, that's pretty worrisome. But "several" out of a class of 100 or 1000? Not so much. Death can be written off as an unlikely prospect in that case, or maybe even something that the wealthier parents hedge against by throwing their weight around, "just give Junior a pass in 'Dangerous Magic 101'" style. Utility - What is gained by taking the risk? Is being able to use magic useful? Essential? Or just fun but with no practical real-world benefit (apart perhaps for bragging rights)? People can and do risk their lives for all of those categories, and the amount of risk they'll tolerate tends to increase as the amount of utility increases. If non-magic-users are shunned or effectively reduced to non-persons or slave-labor in your society, that's an adequate reason for most parents to tolerate the risk. Desire - Who wants to do the risky thing, and how much do they want it? If Junior is terrified about learning magic because they don't want to die, it's less plausible (though not impossible) that their parents would force them into it. If, on the other hand they've grown up seeing magic users all around them, and it's regarded as a major rite of passage, and they think magic is the coolest thing in the world...then good luck to any parent who tries to tell them that they can't learn it because it's "too dangerous". They're not going to listen, and if they're going to fool around with magic anyways, it's far safer for them to do it in an actual magic school than to just start experimenting in the garage or wherever. The only pitch a magic school needs to use on safety-conscious parents is "self-taught magic learners have a mortality rate of 2 in 5, our state of the art magic school reduces this to a class-leading 1 in 10!". So basically, make it something that the kids want for themselves. Have it integrated into the social fabric to the point where that desire becomes irrepressible and practically dogmatic. Make the benefits of learning magic (and/or the costs of not learning magic) high, and put the risk level at something reasonably palatable that allows the survivors to look on the dead as "the unlucky ones". So a death rate that's closer to 5% than 50%. The obvious: life is dangerous, and you're more likely to survive if you have magic. One example would be a 'life in space' type scenario... a mistake on a spacewalk could be deadly, but never learning to spacewalk would threaten the survival of the station. Another way to look at it is something like an 'Attack on Titan' type scenario where there is an overpowering enemy that the civilization is facing... that creates a strong motivation to have a strong military, and a strong societal norm to put children into the military. you can look at modern day Israel for some example of this... it's legislated for all Israelis to serve in the military when they turn 18. A third example is like some people said a car... it's dangerous to drive (lots of people die every year in accidents, and this does tend to be weighted towards teens as far as I know) but not that dangerous (individual chance of being in an accident is still low enough that most people won't be in one). This doesn't even require that dangerous an environment, really. Combine these with human hubris/Dunning-Kruger for (at least) an illusion of control (e.g. 'this may be dangerous for all those OTHER stupid people, but I am careful and it won't happen to me/my kid') and it's easy to do. Drugs. Simply they are too stoned to care. Imagine a society where that genetically adults are highly prone to a particular drug addiction. The drug has no effect on pregnancy other than passing on the addiction to the child. Children and teens remain unaffected, but in the mid to late 20's adults develop an extreme craving for it (they are already addicted to the drug since birth, but the symptoms do not appear until their 20s). The withdrawal symptoms include psychosis and paranoia... essentially leaving them unable to function in society without a regular fix. Adults that are high on the drug are able to mostly function "normally" but have limited memory and below average IQ. They tend to forget about their children and other family members unless they see them regularly. They can function in jobs, but are mostly limited to manual labor and menial tasks. Often its the teenagers who provide the job management... such as determining which crops are best to grow in the field for the next season and handling the trade transactions for the village/town. The mages are a different story. Any children that are shown an aptitude in magery have a chance at MUCH better life. Something about using magic minimizes and once a certain level of magic is reached it fully negates the effect of the drug. But on average only 1 in 80 young children will reach the level of breaks them free of the drug. While most students die during the wizard training, there are others that just flunk out. They develop a stronger tolerance to the drug which allows them remain sober a few more years. Often they become teachers in schools for young children and teenagers until they can no longer resist the craving, and fall into the same pattern of their parents. Something about the drug is also essential to procreation, or maybe its magic that negatively affects the ability to have children. Regardless, students at mage school can have children, but a child born to a parent after they have achieved full wizard status is extremely rare. This creates a society where all groups are highly dependent on each other. Ours? Children cannot be mollycoddled any more than they can be kept in sterile environments. Some exposure to reality is necessary to survive in it. An alternative way of stating this is "What conditions would encourage a specific voluntary behavior within a society?" I think this is a better way of looking at the question, because any behavior is the result of a cost/benefit balance. If the expected cost (price* probability of failure) of a behavior is low in comparison to the expected gain (value * probability of success), there is a net benefit. In the case of parents, for there to be universal acceptance of the loss of a child sent for specific instruction, the value of that learning would need to be high compared to the likelihood of failure, AND/OR the value of children would need to be low. In a society where multigeneration families worked to support their family, children would have higher value to each family, than in one where children could be expected to move away as they became adults. "Losing" an offspring would be a cultural norm in the latter. Sending a child to magic school is no different than sending a child to college to learn any other trade. The child may fail at any time after starting. To a society makes more sense to have one fail completely early than to spend a lifetime doing something poorly. Children only have high value to their parents if those parents get something in return for the amount of work expended to raise them. Parents can only have one living child. If your child dies you can have another one. When the child reaches a certain age they put through a life or death challenge. After the challenge the child's parents are no longer able to reproduce. Points one and two can be caused by some sort of limited resource. Point three can be caused by some sort of endemic disease or custom or social problem. Point four can be caused either by the parents death or the passing on of some sort of limited resource. A sort of delusion(a form of pride) that it's good for the collective(be it country, etc. ), motivated by greed(out of which, results that are obtained can be deadly) and those results are generally bad. That type of society would probably end up dead in 50-100 years(that because it simply collapses, or people's mentality change, and thus only the bad mental state would disappear, society would get a restart and possibly thrive). As ficticious as it is, to have such a society and have even have a 0.05% chance of mortality is not good. It denotes progress made out of greed. Progress made out of greed lacks wisdom. No matter how good the progress, time after time you would have to turn back, to fix the mistakes, in order to go and learn in a better way. As for anything that would create any of those bad qualities(sloth, prideful collectivism(patriotism) for the sake of greed), possible causes are greed sustained by bad PR(consciously), and publicity that would support such oriented slogans (unconsciously) (e.g." Do it for ... !" ; "Smoking destroys pregnancies! "(on cigarretes), while people smoke without a care in the world;-> which proves irresponsibility). Fixing both the conscious attitude and the unconscious attitude would solve those problems. As for how, probably a group of people with strong core values would stand up for the rights of those people and protect them. Actually, what you're describing has been the most common case in societies on Earth. It has only been recently, and only in some parts of the world, that people started to value life so much. It used to be that women would give birth to children for all their fertile period of life, sometimes dying in the process. It was not uncommon to have more than 10 children. The fact that some would die for whatever reason, was kind of known to be a part of life. If especially becoming a magician is considered to give some priviledge, or that you will be held in high regards, or that it increases the honour of the family... I can imagine people would accept the trade off. Not the answer you're looking for? Browse other questions tagged reality-check society magic or ask your own question. What would be the effects of a system where children of uneducated parents won't be allowed to study? What would be the effects of raising all children with step-parents? Is it possible for a medieval society to produce enough food for dragons (with the help of magic)? How can the longevity of elves affect family structure?